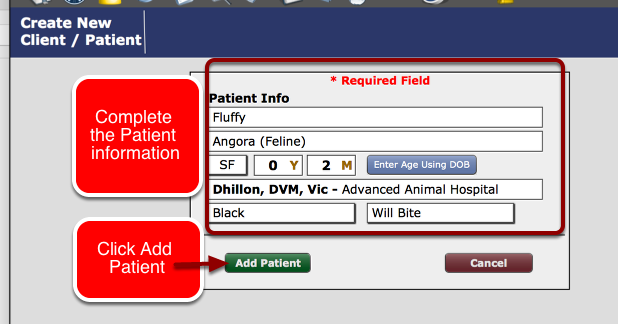 Navigate the the appropriate contact screen for the client to which you'd like to add a new patient. Next, select the + Patient botton. Prev: How do I add a new Client and Patient? Next: How do I create a visit?